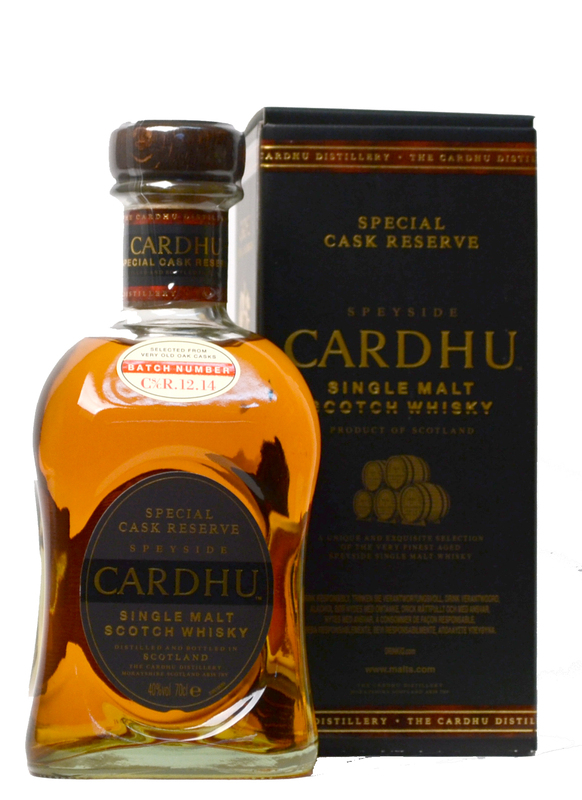 Selected from 'very old oak casks' - Cardhu Special Cask Reserve is richer and sweeter than the hugely popular 12 and 15 year old and. Presented in a handsome bottle in a stunning, classic Cardhu presented box. 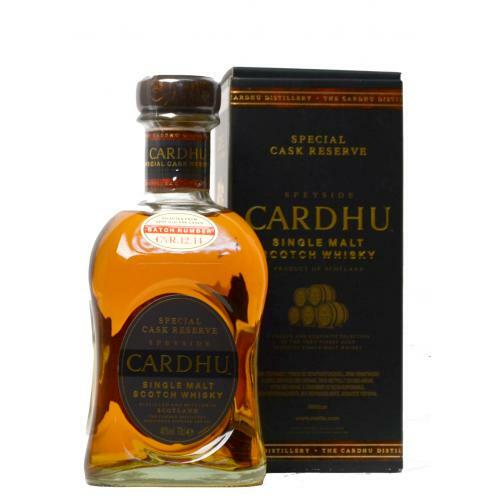 This Cardhu is a top Speyside whisky from a long-standing distillery. Nose: Dried apricots and pineapple with thick waves of delicious caramel and barley with a slightly honeyed aspect. Old oak then appears later on, bringing with it a plenty of spice. Palate: Cereal and barley at the forefront, surrounded by fudge, rasins, citrus and a nice helping of dark chocolate. Cinnamon and ginger later enter the palate. Finish: Long and intense with spice.